Want to join with Flydubai? We collected all latest jobs from Flydubai careers page. No need to share your contact details like e-mail and phone number to apply to new job openings at Flydubai. Thousands of people are now looking for jobs in airlines field. We listed all new job vacancies on next page and link is place at the end of this article. Ready to apply for Flydubai jobs? We would to share few facts and tips about Flydubai. You can check out all jobs on next page. Why should you apply for Flydubai jobs? FLYDUBAI looking for great talented and experienced professionals in IT field cabin crew, pilots, ground handling, customer care, finance and accounting. Like Emirates Airlines and Etihad airways they providing tax free salary and great benefit packages. Also Flydubai head office is located in Dubai Airport terminal 2. So you will be in world’s best airport for work. Beside the competitive and free salary, Flydubai provide allowances, medical insurance for staffs and their families. Also don’t get tension about your children education even they are in Dubai or abroad. Flydubai will give you allowance for education.They will give you up and down airline tickets in Flydubai for your annual leave and your wife, children and parents will get discounted airline tickets too. End of gratuity based on UAE labor law. Discount on staff shop and services. All above mentioned benefits will be vary for employee to employee based on the role and benefits Flydubai will train and teach you additional skills. 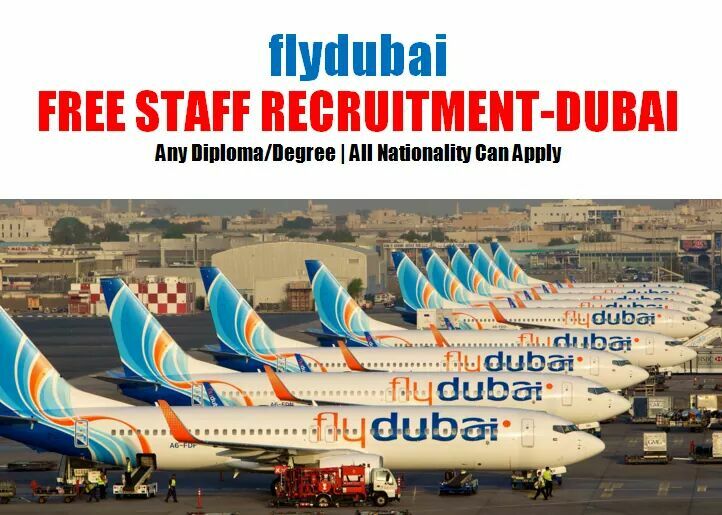 How to apply for Fly dubai jobs? Hope you read all the benefits which you are going to get in Flydubai. If you are interested to apply for jobs please click below link and it will redirect you to job listing page. Currently Flydubai have job openings in Dubai and Hyderabad (INDIA). If you found any suitable job vacancy then click on job title and it lead you to job description page. Read all job description and requirements carefully. Then click on “Apply Now” button. Now you have to create one profile with Flydubai.